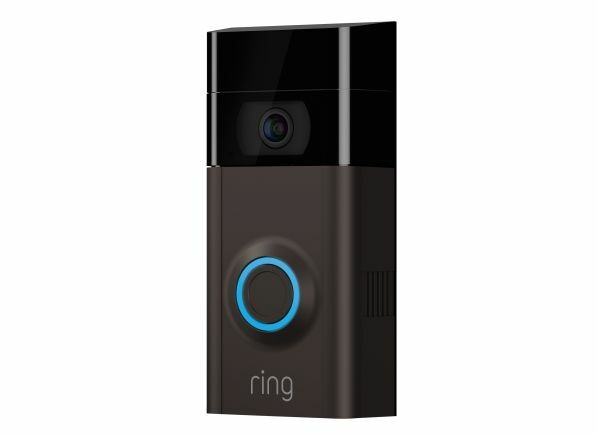 Video doorbells became a serious product category last year with Amazon’s $1 billion acquisition of Ring, and it looks like 2019 will bring even more options to consumers, from both established players, such as Ring, and newcomers. “Through 2022, both smart electronic door locks and video doorbells are expected to increase sevenfold in terms of units shipped, and some of this growth is expected to come at the expense of security cameras,” says Blake Kozak, a smart home and home security analyst with research firm IHS Markit. Kozaks says video doorbells are an appealing product to brands for a number of reasons, including the ability to charge consumers recurring fees for cloud video storage and muted privacy concerns around an always-on camera that isn’t inside the home. While we expect to see many new video doorbells this year, below are three particularly promising models introduced at CES 2019. Of course, we haven’t tested any of them—they aren’t even on sale yet, and Consumer Reports purchases every product it tests, just like you do. So if you need to buy a video doorbell now, you can find some top-rated picks at the bottom of this article, or check out our complete home security camera ratings. Netatmo is a small French smart home company that makes a few security cameras, including an outdoor model with a built-in floodlight. 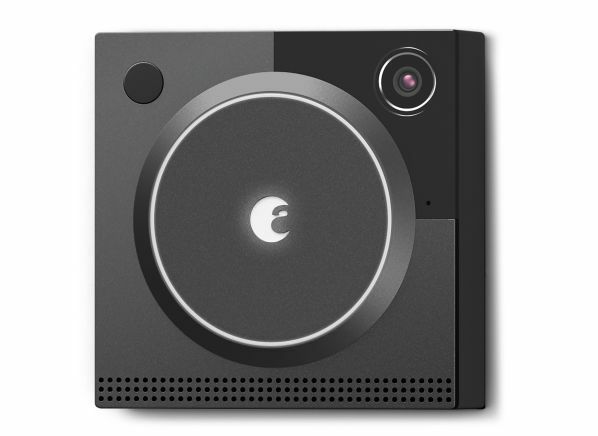 The company’s new video doorbell is notable because it will be the first video doorbell that works with Apple HomeKit (the tech company’s smart home ecosystem) and Siri. That means you’ll be able to control it from the Apple Home app that comes installed on iPhones, iPads, and (recently) Mac computers, and that you’ll be able to ask Siri to show you who’s at the front door. Competitors August and Ring have claimed in the past that some of their video doorbells will work with HomeKit, but that has yet to happen. Netatmo tells us the doorbell will offer high-definition video with night vision, motion detection, person detection, and even tamper detection, in case you’re worried someone might try to steal your high-tech doorbell. In a rare move, Netatmo says its doorbell will not offer any cloud video storage. Instead, the doorbell has a microSD card slot that can be used to store footage, or you set up the doorbell to automatically store footage in a Dropbox account. If you’re not a fan of recurring fees (a common tactic among competitors, such as Nest and Ring), this model might be a great option for you. One thing to note: The Netatmo Smart Video Doorbell requires a hardwired connection for power, meaning you’ll need doorbell wiring at your door. Homeowners with wireless doorbells will be out of luck. When you hear the brand TP-Link, you probably think of wireless routers, but in recent years the company has pushed into the smart home with an array of products, including smart lightbulbs, smart plugs, and security cameras. Now the company is adding a video doorbell called the TP-Link Kasa Smart Video Doorbell to its product lineup. Unlike the HD video that most video doorbells offer, TP-Link’s model offers 2K video quality, which is double the resolution of full HD video but only halfway to the 4K video quality (four times full HD) that we now associate with new TVs. “If TP-Link selected a 4K image sensor and lens, the total thickness of the doorbell would increase,” says Damir Skripic, the company’s vice president of product. He adds that the 2K sensor helps increase the accuracy of artificial intelligence features and allows the doorbell to offer a superzoom feature that zooms in on areas of interest. Of course, video resolution isn’t everything. In our lab tests, we found the video quality of the Ring Video Doorbell Pro to be worse than that of the Ring Video Doorbell 2, even though Ring claims that both offer 1080p HD video. We’ll have to put the TP-Link Kasa Smart Video Doorbell to the test to see how it stacks up. Other features to expect include motion detection, object detection (people, vehicles, packages, animals), facial recognition, two-way audio, prerecorded responses for when you can’t answer the door, a rolling two days of free cloud video storage (additional storage requires a monthly fee), and voice control via Amazon Alexa and Google Assistant. The Google Assistant integration is notable because up until now, only Google’s Nest Hello video doorbell works with the company’s digital assistant. Technically, Ring doorbells also work with the assistant, but their current integration doesn’t allow you to call up live or recorded video footage. The TP-Link Kasa Smart Video Doorbell will also require doorbell wiring to function. Amazon-owned Ring already sells four video doorbells, but the company has created a fifth model to address a different kind of home—apartments and rentals. The new Ring Door View Cam is a wireless, battery-powered doorbell designed to replace the peephole commonly found on the front doors of apartments and condos. (It can detect when people knock, too.) To appease landlords, Ring designed its newest model to require no drilling or modifications to your front door. Ring claims all you have to do is unscrew your existing peephole and insert the Door View Cam. While it might seem like a novel concept, peephole video doorbells aren’t new. Last year, we saw a similar peephole-style model from a brand called EZViz. However, the brand recognition of Ring and Amazon might give this model an advantage in attracting consumers. 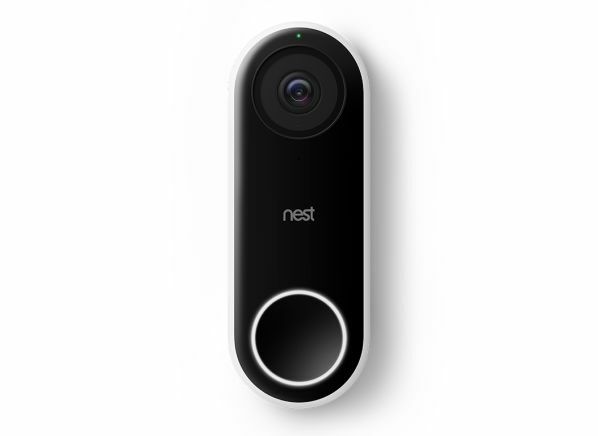 As for features, the Ring Door View Cam will include HD video, a removable rechargeable battery, motion detection, person detection, adjustable monitoring zones (to focus alerts on or prevent alerts from certain areas, such as a neighbor’s door), an impact sensor for detecting knocks on the door, privacy zones to digitally black out areas (again, such as a neighbor’s door), and voice control via Amazon Alexa. And as the company announced in October, some of these alert features—including person detection and monitoring zones—will be coming to existing Ring doorbells and security cameras. Keep in mind that Ring doesn’t offer any free cloud video storage, so you’ll pay $3 per month (or $30 per year) per device. For unlimited devices at the same address, the price goes up to $10 per month (or $100 per year). Some of the announced alert features might require you to pay these fees as well. Our tests show that Ring video doorbells offer the most smart features, so it will be interesting to see how the new Door View Cam compares with its siblings. If you can’t wait for the three models above to come to market, check out one of the highly-rated models below, all of which have been tested by CR. Editor's Note: This piece was updated to clarify pricing for the Ring Door View Cam's cloud storage. Wireless Security Camera vs. Video Doorbell: Which Is Better?